Welcome to a brand new segment here on Life With Katie! I've realized that over the past couple of years the site has gotten more and more away from my life and almost strictly book reviews. Well, it's time to change that. 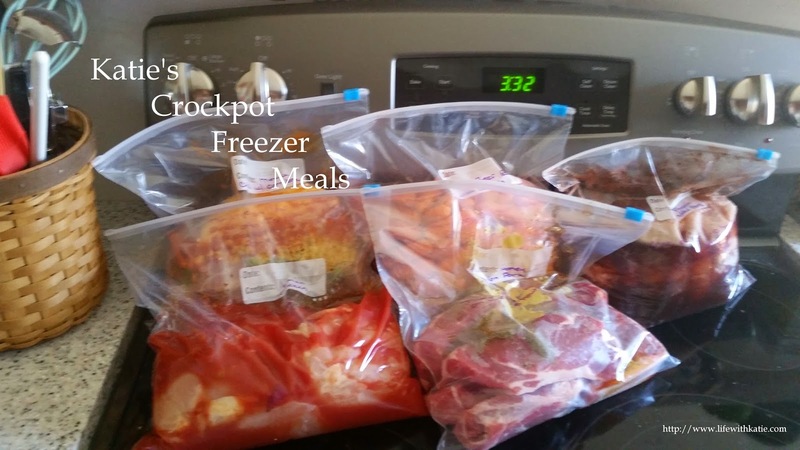 Starting today and with any luck (and hard work) continuing every Monday, I'll be posting a new crockpot freezer recipe. These are fantastic yummy meals where you do all of the prep work in advance, toss it all into a ziplock bag and then toss it into the freezer. The night before you want to eat it, you thaw it in the fridge and then that morning toss it into the crockpot and walk away! Since this is the very first post, I'm going to give you a few tips on how to get started and then follow up with our very first recipe! 1. 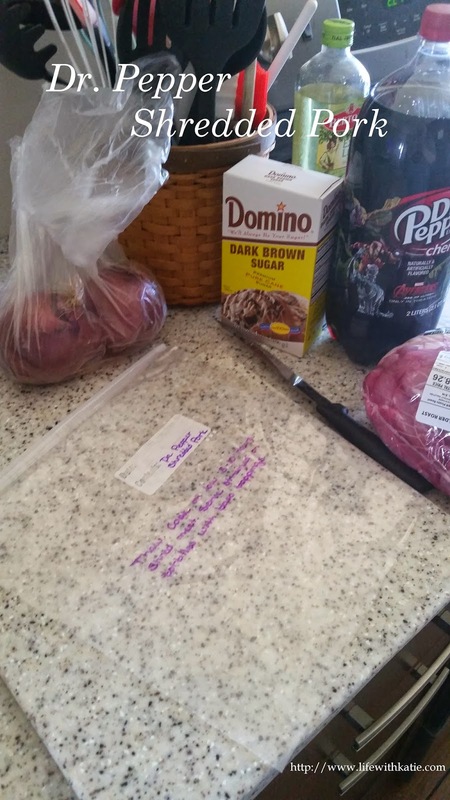 Start your prepping session by laying out everything that you're going to need, including your gallon sized freezer bags and a dark colored Sharpie. 2. Write out the name of the recipe, either the use by date (3 months from freezing) or the created on date and any cooking instructions right onto the outside of the bag. Some people use labels, but for me, it's an unnecessary added expense. I like to do all of my bag writing before I start loading the bags that way my hands are clean and dry and I don't smudge what I just wrote! 3. Keep a list of what meals you have in the freezer. That way you don't have to dig through it every time you want to pull one out! If you're like me, your memory isn't perfect. I keep a list on the side of my fridge that has a list of what meals we have, how many we have of them and which freezer they're located in (fridge freezer or our small deep freeze). Then, when one is used up, I simply cross it off the list and make a note of if I want to make it again! Now, on to our first recipe! Place all ingredients in bag. Squeeze out as much excess air as possible. Freeze. Cooking instructions: Thaw in fridge. Once thawed, dump into crockpot and cook on low for 8-12 hours. Shred meat using a fork and place onto tortillas using a slotted spoon so that some of the juices drain off. Top with taco toppings of your choice and enjoy!